3D Game Market is proud to present our newest 4K glasses free 3D display. This 32” gaming monitor has excellent quality and produces beautiful gaming environments that will provide users a world of highly immersive gaming. You can use this display as a 3D gaming monitor and also use it as a 2D desktop monitor. 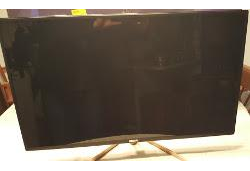 It comes equipped with an upscaling chip that will allow you to play your games at 1920 x 1080 and the display will upscale the picture to full 4K. The games look beautiful in 3D and we can’t wait until you check it out in your own home. - This 3D display has automatic scaling to allow 3D viewing without requiring a 4K capable video card. - 3D video via any stereo side by side source. Enable 3D mode using on screen display. Free shipping. Tax is included in price. Allow up to 4 weeks for delivery.